Yes, we have waterfronts in Arizona. Using the Arizona Regional Multiple Listing Service® IDX listings real-time database, you can see for yourself that waterfront homes for sale (though not as common as we'd probably like) actually do exist here in Arizona. From Arizona mansions for sale, to Scottsdale luxury homes, to Paradise Valley executive homes and beautiful lake homes for sale in Phoenix, Mesa, Gilbert and throughout Arizona. Waterfront homes are indeed among those that you can find. 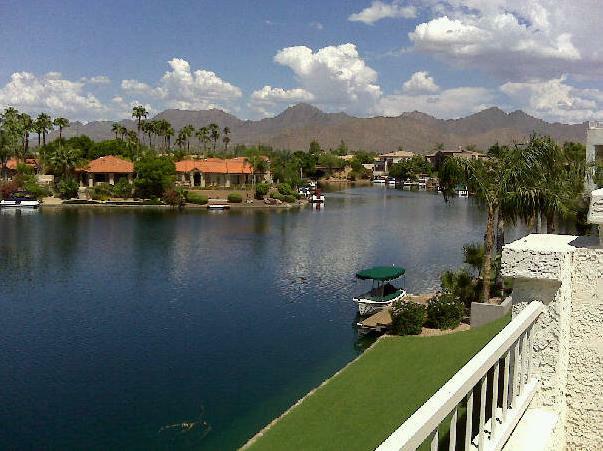 Lake subdivisions or waterfront lots, you'll find houses on the riverfronts, lakeside or just near lakes in your search of Arizona homes for sale. Don't expect to find oceanfront property in Arizona though, unless perhaps if the "big one" hits California.